Well, friends. It looks like I am a disgrace to the reading world. I only made it through 1.75 books this month. And I call myself a reader? Sheesh. Let’s just suffice it to say that the month of September kicked my behind clear into October. Between marching band, volleyball, back pain, dance classes, and everything else, I simply didn’t have the mental faculties to devote to the written word that I did over the summer. And then, imagine my dismay when the first book I picked up this month really didn’t do much for me! Such a bummer! One book this month confirmed the fact that I am a) not overly intellectual b) not really a fan of satire and c) pretty boring. The other book solidified my long-held belief that the years surrounding WWII were some of the most interesting in American history. Let’s take a look, shall we? You know how I said I read 1.75 books this month? Well, this one was the .75 part. 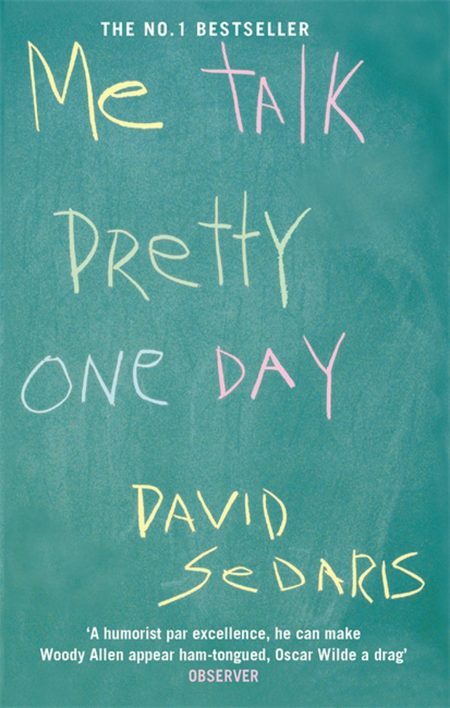 This was my first foray into David Sedaris and, quite honestly, it will probably be my last. I’ve heard about his books and his humor for years, but never picked up any of his titles. Normally, I hear the word satire and think, “not for me.” I’m too much of a goody-goody or relative optimist for satire, I think. Anyway, in an effort to expand my tastes and veer out of my comfort zone, I decided to give this a shot. Let me just say this. It wasn’t bad, but it wasn’t for me. Obviously, loads of people love this guy and his essay-style of writing memoirs. There were lots of parts of this book that truly made me chuckle. But there were many more parts that simply made me uncomfortable. Not being a gay man who had been raised in the south and was addicted to drugs, there just wasn’t a lot for me to relate to in his stories. And, honestly, that’s what I look for when reading a book. I want to have some sort of connection to the main character and Sedaris and I just didn’t click. That said, it was well-written, parts were terribly funny and I can see how some people just adore him. Non-intellectual, boring types like me, though, may want to pass it by when perusing the what to read next shelves. This is the book I actually finished this month and, while it may seems like pretty normal fare for me, it did make me step out of my usual rut just a smidge. 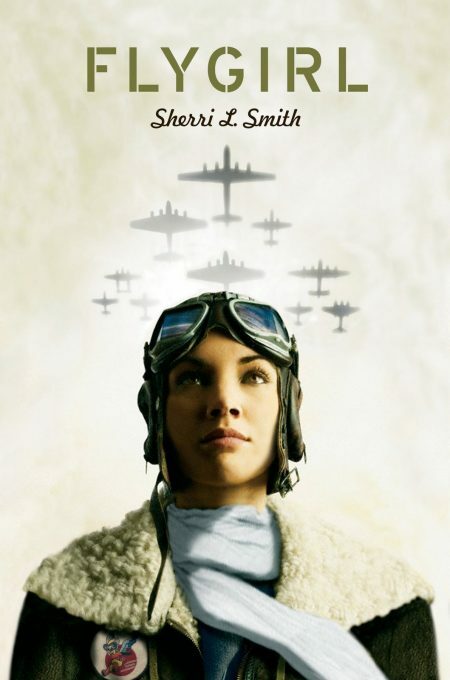 First, Sherrie L. Smith’s Flygirl is a YA (young adult) novel. Second, it is a book centered around a woman of color. That’s not to say that I never read books in those particular genres, but they aren’t the norm for me. And, like I previously said, in trying to branch out a bit, I definitely wanted to lessen the whitewash effect that most of my reading generally has. What I loved about this book is that the main character, Ida Mae Jones, didn’t want either of her struggles to define her. 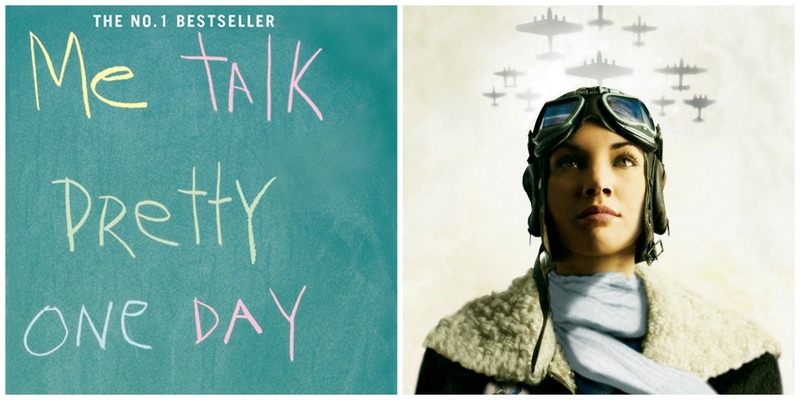 In her desire to become a pilot for the Women’s Airforce Service Pilots (WASP) after the attack on Pearl Harbor, she battles both racism and sexism. In order to even be considered for service, she must pass as a white woman and live a life of constant denial of her true self. Then, once she is in the service, she and her friends are made to prove themselves as superior pilots even to be considered equal to their male counterparts. I really learned a lot in a rather accidental way by reading Smith’s engaging novel. I’d recommend it to anyone in middle school or above who enjoys a little side of cultural education with their realistic, historical fiction. Some people think that good music and Christian music are mutually exclusive descriptions. And while, generally, I’d agree with that sentiment, I think there are a few exceptions. These, friends, are some serious exceptions. Broomstick by Brother Isaiah (like, an actual Catholic brother…he’s one of the Franciscan Friars of the Renewal) has a real Jason Mraz type vibe going on. Very acoustic, great harmonies, just an all around great thing to listen to. You can find his album at the link I gave or just search him out on Spotify or YouTube. Look Up Child by Lauren Daigle has simply been wrecking me lately. Her single “You Say” is enough to bring just about any woman to tears. If you haven’t heard of her or this album, the best reference point I can give you is that maybe if Adele was raised in Louisiana and sang songs about Jesus…this would be that. The whole album is just amazing and is worth the time you spend listening and pouring over the lyrics. Well, friends, that’s it for this month! Coming up in next month’s queue, I’ve got a novel about an Indian American Family and another WWII heartbreaker. 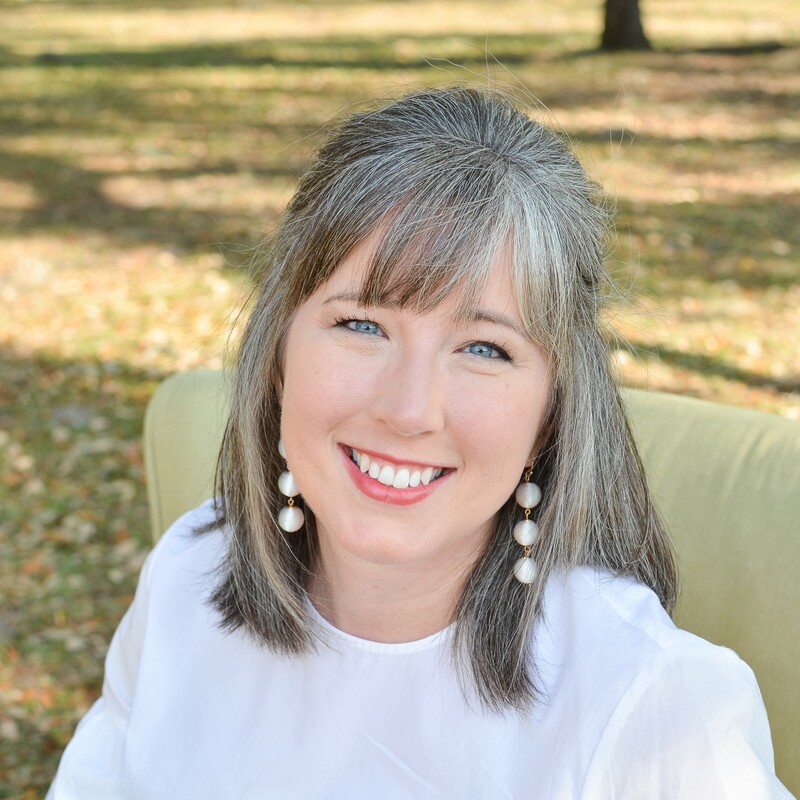 Thinking that I might throw in a Shauna Niequist or Brene Brown for some personal development. We’ll see how that goes. Remember, you can use the search tool on the homepage to find any monthly reads I’ve posted. And, as always, let me know your thoughts and opinions and recommendations! I read a short story be Sedaris. It was just okay. 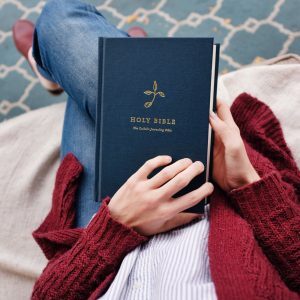 The book you read that you liked sounds good. I cannot wait to hear what the new WWII novel and the new American Indian family novel are. That sounds hopeful! !